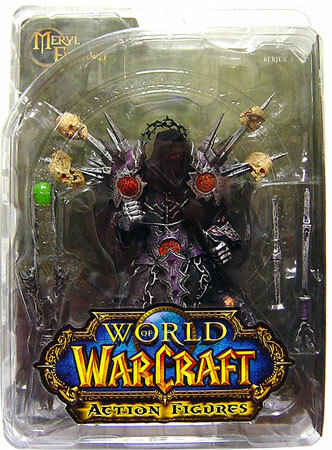 WOW DC Unlimited Series 1 Undead Warlock Meryl Felstorm [ World of Warcraft ] is becoming increasingly hard to find! There are NO packaging condition guarantees on this item. Warlocks are masters of shadow, flame, and demonic power. They are a robed class that excels at plaguing their enemies with disease or curses, hurling bolts of fire or shadow energy across the battlefield, and summoning demons to aid them in combat. While warlocks are powerful casters that deal damage from a distance, their demonic powers can also protect or support their allies in battle, or even summon other players from across the world using ritual magic to conjure portals.